Pamplin Media Group - Welcome aboard! 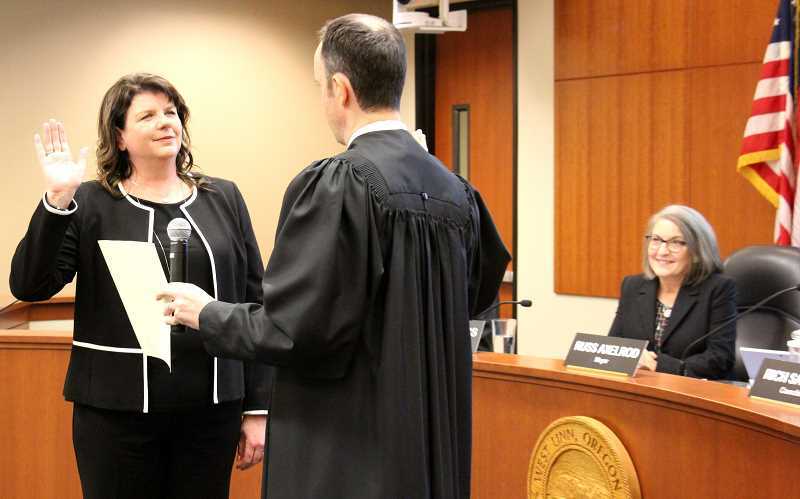 A new era at West Linn City Hall began Monday, Jan. 7, as Jules Walters and Bill Relyea were sworn in as city councilors. Walters and Relyea ran unopposed last fall to fill seats vacated by Brenda Perry and Bob Martin, who both opted not to seek second terms. 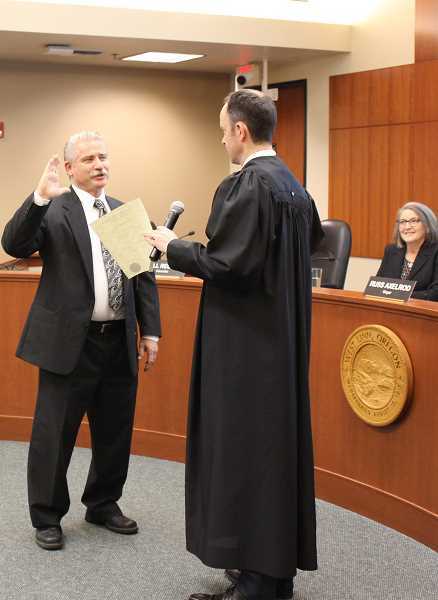 They join Mayor Russ Axelrod and councilors Teri Cummings and Rich Sakelik on the five-person council. At the special meeting Monday, the new council voted 4-1 to make Cummings the newest council president (Walters voted no). The council meets again Monday, Jan. 14 and a goal-setting session for 2019 is scheduled for Jan. 17 and 18.